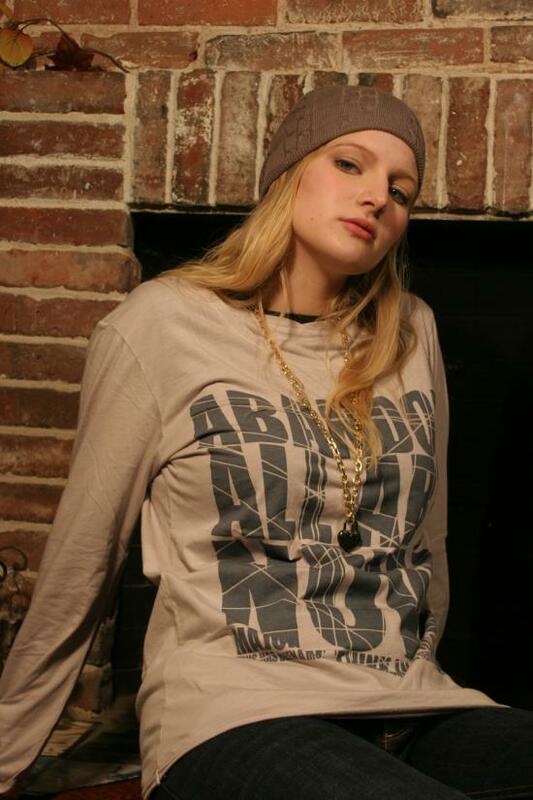 Classic Long Sleeve Twist Neck Tee...Abandon All Art Now — from Morphine Generation men's wear. Shown with Morphine Generation Skully Cap in Gray. Available in Fog in men's sizing..